Don't you just love it when you see a design idea so simple and beautiful that you can't believe you haven't seen it before? 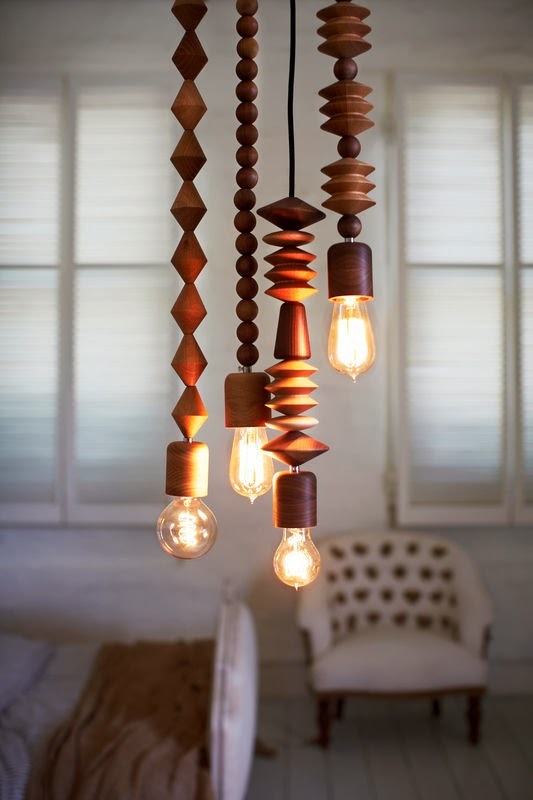 The Bright Beads lighting system, designed by Coco Reynolds from Marz Designs and developed in conjunction with How We Create is beautifully handcrafted from FSC certified timbers, American Walnut, Smoked Ash, Rock Maple, American Oak, and can be custom made to any length and in any configuration to suit. Australian designed and manufactured, these beautiful lights are hung as a cluster to create a chandelier and provide a focal point for a room. This set of four, includes the Alice, Aleenta, Abacus and Africa pendants. Each pendant comes complete with a nickel ceiling rose for permanent installation by a licenced electrician.